One of the most powerful tourist attractions in our city and for which many tourists sigh when they arrive in Barcelona, ​​are the terraces. The Sagrada Familia, La Pedrera or Parc Güell are essential in our tourist routes, but after a long day of getting to know Barcelona, ​​it is very important to know where to take a break. 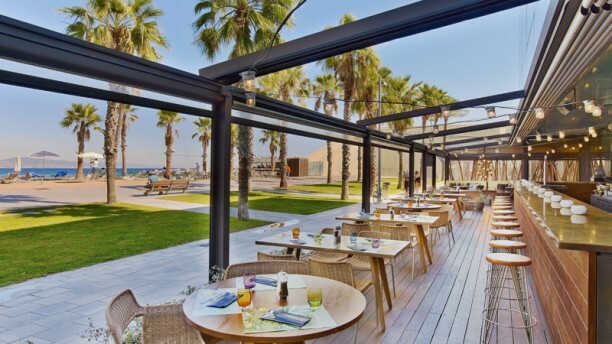 This, together with the fact that it is already spring, what better time to explain, in our opinion, the 5 best terraces in Barcelona so that you can enjoy the good weather and the best atmospheres in the city. Barcelona is full of places and places with a special charm. Some of them have a lot of history. From Fuster Apartments we want to highlight of them so that you can enjoy them just as we enjoy them. 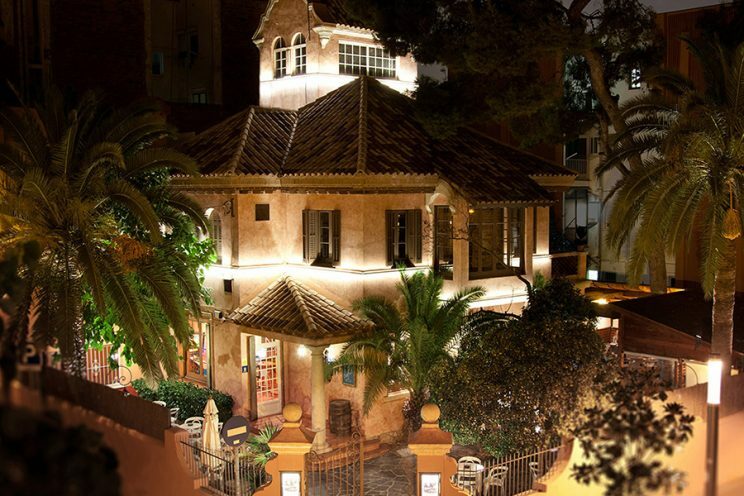 In the heart of the neighborhood of Horta and followed by Plaza Ibiza, one of the most beautiful places, we find this bar. The Quimet d’Horta breathes history on all 4 sides. With a beautiful terrace, its interior does not leave anyone indifferent. Beautiful and with a pleasant atmosphere, we recommend her sandwiches. From the best tortillas in Barcelona to the Iberian ones to the taste of the best palates. Its location is easy to find. Just below Hotel W (Hotel Vela as it is known), is this spectacular terrace on the beachfront. Inspired by Californian recipes, it stands out for its full salads and spectacular burgers. An unbeatable atmosphere, relaxed and with the best views of the skyline of the city. It is almost must have visit. And on the beach front, we’re going to the opposite. 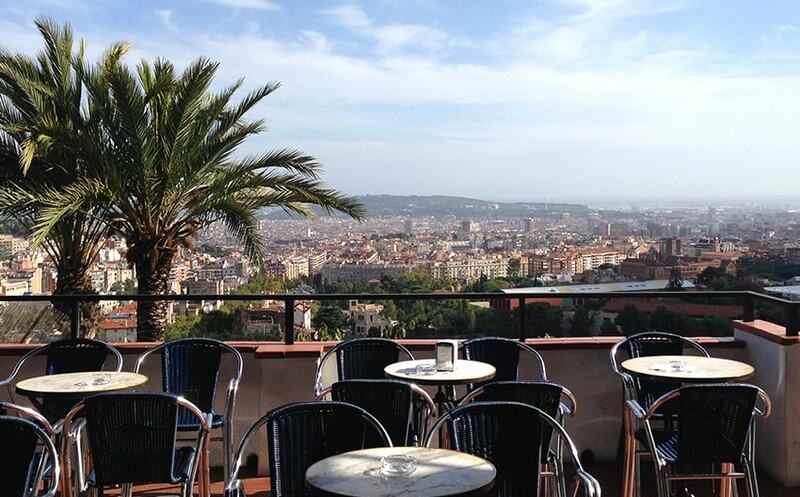 The Mirablau is located in the Tibidabo mountain range, with one of the best views of the city. Having a good vermouth on the terrace of the Mirablau is priceless. Relaxed atmosphere while you have the city at your feet, commenting how the Sgrada Familia is changing, seeing the big cruise ships enter the port of Barcelona or enjoying the FcBarcelona Stadium from a different perspective. 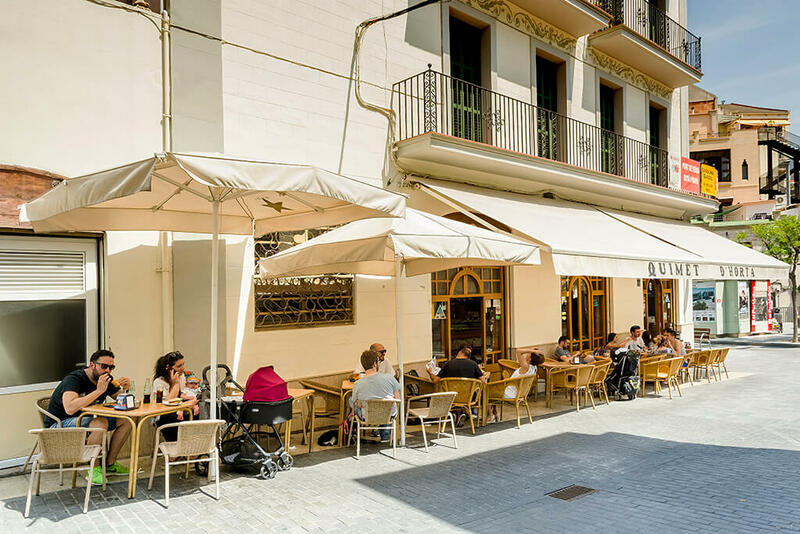 In the middle of the Paseo del Mercat de la Boquería, we find the terrace of the Bar Papitu. 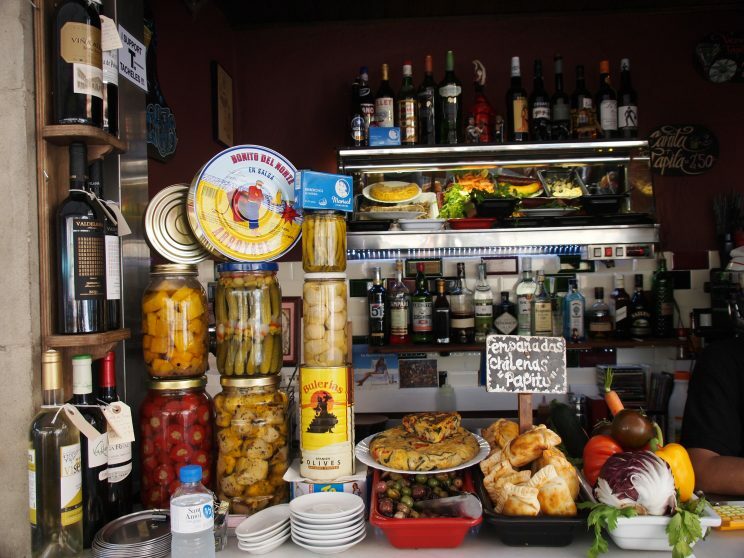 Take an aperitif there in the typical atmosphere of the Barcelona market, it is an experience that should be experienced once during the visit to the city. You can not leave without taking a good cane and eating your most popular tapas: calamari and croquettes. In the middle of the beautiful neighborhood of Sant Andreu we find this cocktail bar. An old Indian tower that since 1987, the owners of the Torre Rosa delight their guests. With a spectacular garden terrace as if we were talking about a forest, it is one of the most idyllic places to have a good cocktail. Cocktail Torre Rosa has become a benchmark in the sector with one of the most varied and extensive cocktail menus in Barcelona.